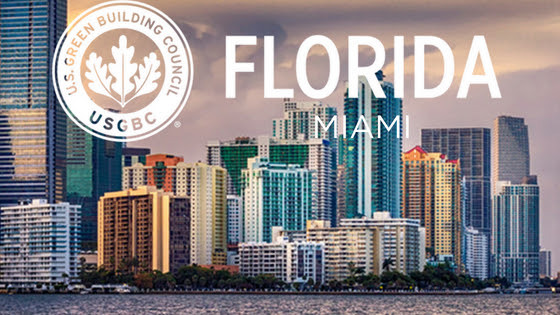 Join the U.S. Green Building Council on Wednesday, April 10th, in Coral Gables &/or Thursday, April 11th, in Boca Raton for a unique social experience. 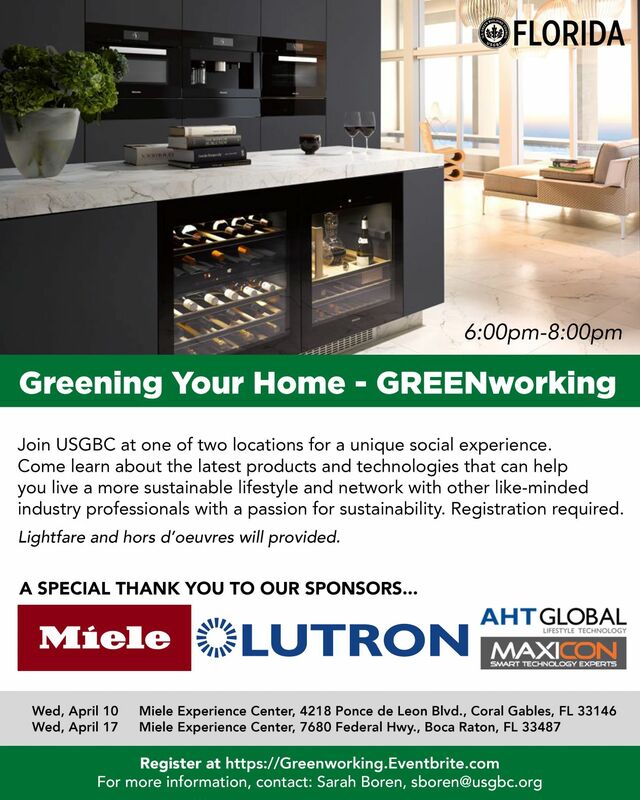 Come learn about the latest products and technologies to help you live a more sustainable lifestyle; and network with like-minded industry professionals with a passion for sustainability. Registration is required.